AC Removals and Storage is a family run business that has operated near Penzance since 1996. 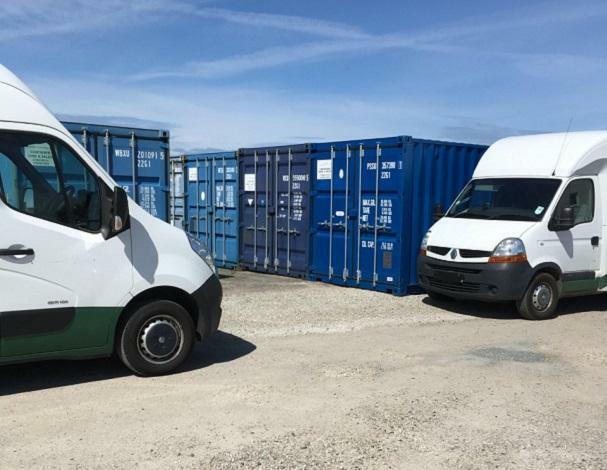 From our secure facility next to Lands End Airport we operate a full range of residential and commercial removal and storage services to customers in the south west, Isles of Scilly and the rest of the UK. We work with domestic and commercial customers and have successfully helped hundreds of individuals and businesses by meeting their storage, relocation and moving requirements. Whether it is a business relocation or a house move, we place great emphasis on your needs because every job is different. Our experienced team are well-versed in the logistical challenges common to coastal and rural tourist areas. Our base in West Cornwall allows us to provide moving and storage services for customers both coming into and leaving the county. Our location next to the airport and near the Penzance ferry terminal has allowed us to specialise in getting people and possessions on and off the Isles of Scilly. We are used to dealing with ferries, planes and the impact of the Cornish weather and it is this local knowledge that gives us a real edge over ‘up country’ firms. Our secure storage compound offers dry and secure storage with added peace-of-mind from knowing that we live on site. We can offer a choice of storage packages on a long and short term basis and will be very pleased to chat to you about the options available. In addition to moving people in and out of Cornwall, we have helped customers from London and the rest of the UK to equip holiday homes with all the furnishings and possessions needed to create a comfortable get-away home. It is not unusual to find us travelling to London to collect a special item of furniture that will be a key feature in someone’s new home. We also offer long term car storage and for ultimate protection from the elements we can provide container storage for your vehicle and other possessions.